Mars is one of the most important planets in the astrological science and plays a vital role in the event of marriage of an individual. Manglik dosha is a defect is caused by the planet Mars. It is ought to bring bad luck and affect the person very badly. It is also known as Kuja dosha. Worship banyan tree with milk mixed with something sweet. Start a fast in a rising moon period on a Tuesday. Keep Kesariya Ganapati (Orange coloured idol of Lord Ganesha) in worship room and worship daily. Note: We strongly recommend you to consult an astrologer before performing these remedies by your own. 3) Sri Raja Rajeshwari Temple In Nellore. 4) Sri Valli Devasena Sametha Sri Subramanya Swamy Temple Chittoor. 5) Sri Kalahasteeswara Swamy Sri Kalahasti. 6) Japali Anajaney Swamy Temple Tirumala. 7) Sri Thathaya Gunta Gangamma in Tirupati. 8) Ghati Subramanya Swamy Temple. Alwar has Mangal dosh and hence the delay. Hence the delay in marriage. He is also in the Rahu Maha Dasa. So that also may be one of the reason. Need to check some other aspects also for best conclusion. He may also have professional troubles, he may get achieven in his profession in the future but may not get satisfied in that. As per his dosh his marriage gets delay. Maheswari you have Naaga Dosham. This gives troubles or obstacles in getting married or in a married life as per the placement of Rahu and Kethu. Remedies – you need to perform Rahu kethu pooja on a Tuesday raahu kaal time and Naaga Prathishta also. Alwar need to perform pooja at Vaitheeshwaran temple. Having these doshas and when checking the Marriage Compatibility (Patthu Porutthangal, Kuja dosha is not that much good), it is not advisable to get marry as it may show adverse effect in your maritial life. This is a basic astrological calculation and need more reading of both your horoscopes in depth to conclude precisely. Since yours is love affair wait for the guy to cross 30 yrs and then doing marriage may turn better. Meanwhile you need to do the Parihara Pooja for rahu kethu and regular worship of Lord Ganesh and Subrahmanya is advisable. So its better to check with another astrologer in person and then preceed for confirmation. Kindly advise me to overcome these problems. Message sent to your Friend so check with her. Marriage after your 30th age is advisable. You need to worship Lord Ganesh and Hanuman regularly and recite Shukra Manthra for 108 times daily for best result. You can overcome your issues with your intellect after marriage beyond what we face. so get prepared, get sit and prepare for the future with better understanding. Show this message to your fried also. Date of birth : 18 February 2019. Time : 4:30 to 5:00 AM. We had performed Sarpa samsankara and Kaala Sarpa Dosha at Kukke Subramanya temple. Still my marriage proposals are not finalizing. Let us know what to do…?? Worship Lord Ganesh and Hanuman – Hanuman chaleesha or Sundara Kanda daily and visit Hanumna temple regularly and circumnavigate Navagrahas on every Saturdays. Reciting Subrahmanya Bhujanga sthothram is also beneficial. If not yet married then perform Kalyanam at Srinivasamangapuram temple near Tirupati on a Tuesday. I am Rama Krishna here DOB 20.06.1975 time :04:25 AM , Birth place KR Nagar (Mysore rural). Having multiple issues related to health , Job and Family. You have Naaga dosham, so perform Naaga Prathishta pooja and then rahu kethu pooja after six months. Regular visit of Naaga devatha temple is must. Offering lemon shell lamps to Naaga devathas is good. Observe Fast on Naaga panchami or every Krishna Panchami. My DOB is 12/09/1991 and timing i’m not sure, my mother says its morning between 6 to 6:30 AM. My Birth Place is Gulbarga. Can you check if i have Kuja Dosha. I want to do love marriage, but my parents are not giving permission. Yest there is Kuja dosham but doing a love marriage also you need to match both horoscopes properly, if it gets matched then only you should proceed if you believe in astrolgoy. Or else just proceed with a both matured mind only. Perform Kumbha vivaha pooja getting assistance of a priest or purohith. After doing this pooja then perform Kalyanam to Lord Lakshmi Narasimha at Ahobila or at Srinivasamangapuram temple near Tirupati. At home worship Lord Ganesh and Subrahmanya or Hanuman by reciting their sthothrams. After marriage place a Kesariya Ganapathy idol at your pooja room and worship daily. Also recite Guru Manthra for 108 times daily every Thursdays. Circumnavigate Navagrahas for 21 Saturdays. Your finds troubles or delay in getting marriage. My son is facing health issues and eye related problems. His DOB is 22 sept 2017, 1:58 PM at Bangalore. Husband DOB is 31 aug 1988, 8:30 AM at cuddapah.. I and my husband both have kuja dosham and baby has kalasarpa dosham. Please suggest what remedies we should do to have peace at home and for health of baby. Perform Rahu kethu pooja once in every six months or once in a year for thrice or continue on regular basis every year as per your feasibility. Its because of rahu kethu he has such problem. Also worship Lord Garuda and Lord Venkateshwara on every Saturdays regularly. Or Establish Kaal sarpa yanthra at your pooja room consulting priest at Ghati Subrahmanya or Kukke Subrahmanya or any other temple priest who can do it and worship it daily. What sort of problem is it related to retinal disease. We are having many problems. Kindly suggest any remedy. Please post your details again after wednesday and we let you know. Kindly share your location and we let you know according to that. Perform Ardharnareeshwara swamy pooja on every Mondays for 11 weeks during evening time after sun set time. Attend Pradosha kaal pooja held in Shia Temples twice every month. My name J. Dilip Kumar born on 08/11/1971@9-08am in chennai. Can you suggest me remedies to overcome business, finance and health issues for prolonged period. Also suggest me Raghu kethu Pooja day as per my astrological chart…. First worship Lord Ganesh – slokam then any naama manthra for 108 times. Then worship Lord Surya Deva during the sun rise time reciting Adithya Hridayama or any other sthothram. Then worship Lord Subrahmanya – any sthothram and then your normal ishta deivam. Recite Mrithyunjeya Manthra for 108 times after sun set during Pradosha kaal time. this you need to worship daily or every Monday is enough to enhance your health. Visiting Hanuman temple daily or any Tuesdays or Saturdays is also beneficial for health issues. At your business place establish idols of Ganapathy and Hanuman (kesariya color) in your office room or a pooja rood dedicated for that. There will be more expenses than your income. So heartly worship Lord Ganesh daily without fail. Naama smaran always in your mind is better. Rahu kethu pooja for next month oct – 09th Amavasya, 14th Sunday – Sashti thithi, or 28th Sundays – Panchami (best) rahu kaalam time. My name is Siri . Date of Birth 16-feb-87 1:10 pm and my husband’s date of birth is 16-mar-87 5:45 pm. We are trying for kids for a long time. Recently one of the priests told that we both have kuja dosham. Can you please confirm if we both have it and what are the remedies we need to perform and where we can do it. Yes has a Bad Kuja Dosha Match. Also there is poor compatibility in the matter of getting a child because of the bad kuja dosha match. Pregnancy may get delay but have possibility of pregnancy. Establish a Kesariya (Orange) idols of lord Ganesh and Hanuman (Hanuman chaleesha daily or every tuesdays and Saturdays ) and worship. Both should do this worship daily in the early morning before sun rise time. Then you Bindu recite Adithya Hridayam every day during the sun rise time. Also worship Lord Vishnu especially Venkateshwara Swa,u on every Saturdays. Perform Rahu kethu pooja on an auspicious day rahu kaalam time. My friend want to know about his kundali. His date of birth is 1-4-1989 time of birth is 11clk Am. We want to know about which doshas he has and is it mild or not. Please tell us the remedies for it. Tell him to worship Lord Ganesh and Hanuman daily and visiting Hanuman temple is better. Circumnavigatind navagrahas on regular basis is must. Actually we are not saving the visitors details to check again. So if you send us his birth details we will check and comment. The boy has Kuja dosham placed in 12th house. Please mention for what purpose. Is it for marriage then need to check for matching compatibility to conclude. May give troubles in the financial aspects giving more or unnecessary expenditure leaving to troubles in savings. Also Jupiter is weakly placed and hence troubles in married life may comes. If the matching compatibility is good then can proceed or doing the marriage during good Guru Balam period will reduce the dosha effect. To answer your query need to analyse horoscopes thoroughly. That comes under our paid services. My date of birth is 13-08-1990. Do I have any dosha. What remedy I should do? Date, Time and place of birth please. My name is sravani and my dob is 06-09-1991.Time and place my parents don’t know. I want to have a love marriage.So is that possible so please let me know. Sorry maa we do not do such. To achieve your love worship Lord Ganesh first and then worship Lord Krishna daily early in the morning before sun rise time. Recite Vishnu sahashranama sthothram or any Krishna sthothram. So need to perform Rahu kethu pooja every year to pacify the malefic planets. Do the parihara pooja on a Sashti thithi if for marriage problems or on any other good Thithit raahu kaal time for other issues. First worship Lord Ganesh in any temple and then do the rahu kethu pooja. Daily worship Lord Ganesh and Subrahmanya or every Tuesdays. 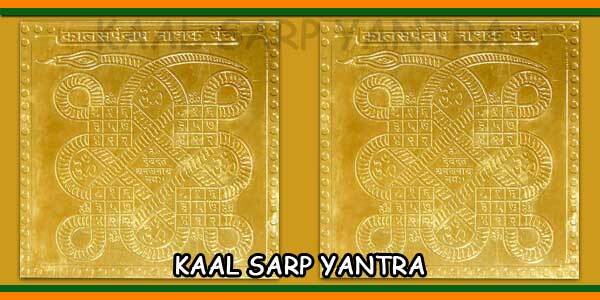 Perform Shashti vrathi starting it from a Shukla Paksha sashti thithi for 21 thithis at least. I am having career and personal problems, do I have any dosha, if so what remedy to be taken? You have Naaga dosh and Mangal dosh. Perform Rahu kethu pooja on a Tuesday raahu kaal time which is a non fasting day. Or perform it on any Shukla Paksh Sashti Thithi or Panchami. Worship Lord Ganesh, Subrahmanya – recite Subrahmanya Bhujanga Sthothram and Hanuman – Hanuman chaleesha daily or ever Tuesdays and Saturdays. Recite Guru Manthra for 108 times daily or every Thursdays and visit Dhatthathreya or Sai Baba temple to attend Aarathi pooja. Where do i perform this puja and how much will it cost? 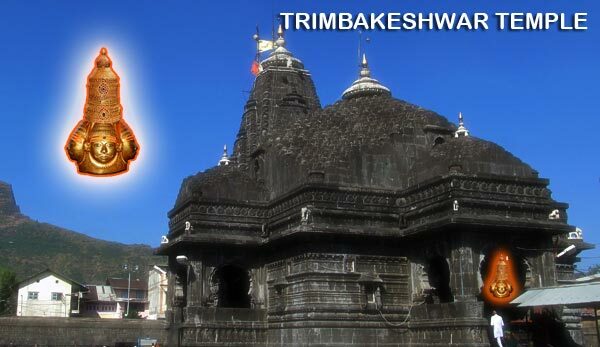 You can do this pooja at Trymbakeshwar, Nashik., Kalahasthi, AP, Kukke Subrahmanya temple at Bengaluru. Do this pooja on a shukla paksh sashti thithi raahu kaal or panchami thithi raahu kaal time. At Kalahasthi ticket cost – rs 2500, 1500, 750, 300 respectively. This is the temple where you can finish the pooja within 45 minutes and rest of the temples cost some more than this and procedure is also lengthy. So its better to visit Kalahasthi. Pandit ji i will not be able to reach there. Can it be possible to do this puja online? Does it really work? One of my astrologer told me that i have pitru dosh.. can you confirm me that . Yes you have Pithru dosh. Pitra dosha nivaran puja should be performed to pacify that malefic planet in Pitra paksha. Perform Trapandi Shraad to get rid of Pitra dosha. You need to contact a pandit before to get his pooja done. Or simply you can perform Rahu kethu pooja during raahu kaal time on Amavasya or Pournami Thithi or on the above said dates also. Giving water to the Banyan tree is also a remedial measure for pitra dosha. Donate food to old age people or poor Brahmins on every Amavasya and / or Poornima in old age home or anna dhaan or distribut Milk near any Shiva temples. Worship Lord Shiva daily or ever Mondays evening between 0600 and 0730 hrs and Vishnu during early morning hours before six regularly to have peace to you and your ancestors. Sir, DOB : 11-Apr-2005, time : 11.23am Is there any dosha present specially khuja dosha? please advice what puja to be done and which temple ? Yes has Kujha dosham. but no need to worry about this Planet as it may favors the native. Rahu is not placed well. May give problems in career. Educattion will be normal. So you can perform Kaala sarpa dosham. Perform Navagraha dosha nivarana pooja or just circumnavigate Navagrahas regularly or on every Saturdays in a Hanuman temple. Worship Lord Ganesh, Subrahmanya – Subrahmanya Bhujanga Sthothram and Hanuman – Hanuman chaleesha daily or every Tuesdays and Saturdays is best. Do not fail to do this regularly. Chant Kuja mantra for 108 times on every Tuesdays. Perform Kalyanam (marriage) of Lord Kalyana Venkateshwara or Lakshmi Narasimha on Tuesday. If you post us a comment where do you live and we let you know the temple to visit for Kuja dosham. Kindly let me know Temples that perform puja for both Khuja dosha & Kaala Sarpa dosha in Hyderabad, thanks. There is no temple to perform both the poojas at Hyderabad. For Rahu kethu pooja you can visit Mopi Devi Subrahmanya near vijayawada or Kalahasthi. For Kuja dosha you can visit Kukuteshwara Temple, Pitapuram. Or to perform both the pooja in a single temple you may visit Ghati Subrahmanya temple in Karnataka. This temple is best to perform Kuja dosha pooja as well as Rahu kethu also. To know the ticket cost you can visit their official website. No it is not possible to do it online. Marriage getting delay and not getting job also. 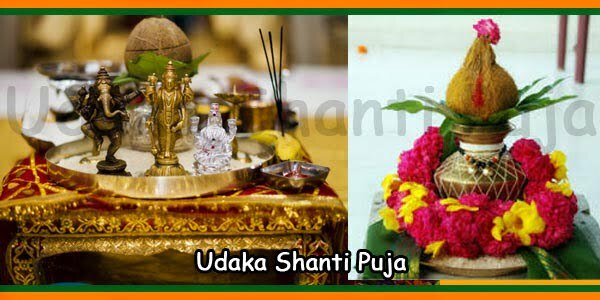 Two poojas you need to do one is Rahu kethu pooja on a sashti thithi raahu kaal time and worship Lord Ganesh and Subrahmanya – recite Subrahmanya Bhujanga sthothram daily at Home. Next attend Kalyana utsavama at Srinivasa Mangapuram Temple (Lord Kalyana Venkateshwara) near Tirupati. Doing this may get overcome the delay. Shiva Kumar DOB:19/03/1992 time 12.30pm i have kuja dosham in my jathakam so please advice me what to do…? 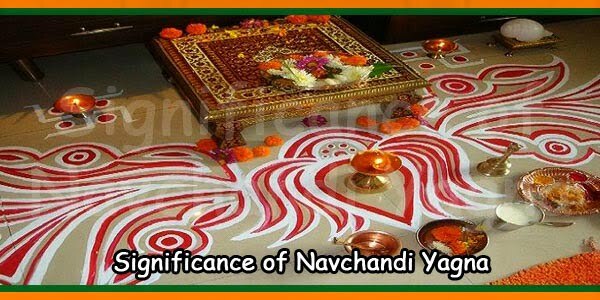 So perform Naaga Prathishta pooja or Rahu kethu pooja once in every year on a Panchami or Sashti or Amavasya or Pournami thithi raahu kaalam time. Worship Lord Ganesh and Subrahmanya daily. Sir my date of birth is 20-07-1990 and time of birth is 13.15 (chennai). My Marriage is getting delayed, when will i get married. You may get marry after your 28th or 30th age. Worship Lord Ganesh and Subrahmanya – recite Su brahmanya Bhujanga Sthothram daily or every Tuesdays. Participate in Kalyana uthsavam of Lord Venkateshwara at Srinivasa Mangapuram near Tirupati. This may remove the obstacle. Hi sir, my dob: 11/09/1989, not sure about birth time but it is around 8 to 9.30, birth place karimnagar, I want do love marriage. Boy name Chandra shekar and his dob: 14/06/1992, 18.30, Hyderabad, I have kuja dosham but he doesn’t have. As per some priest suggestion I performed rahu kethu puja at kalahasti, will that reduce my kuja dosham?? What else I need to do in order to marry this person.. I don’t want any problem to be created in my married life, please suggest me with correct remedies for my problem. You time of birth is am or pm. my birth date is 2 march 1996 6.20 am Mumbai when i will get married..? Perform Kumba vivaha ritaual. Attend Kalyanam of Lord Venkateshwara at Srinivasa mangapuram near tirupati. Recite Aadithya Parayanam during the sun rise time. My date of birth is 22 September, 1994. Timing afternoon 2 pm. I completed b.tech and preparing for government job since 2 years but missing it very narrowly. when will i get job. some purohit told me that I have kuja dosham is it affects my marriage life causing two marriages and when will i get married sir. please leave remedies for my problems. When I may get married ? And whom & where to consult ?? I think you would have had missed some a proposal at your 25th age. When seeing you had marriage yoga at 25th age. For further need to analys more. Regarding Vishnu vivaha you please a nearby Marriage Purohith and he will assist you to get done the Vishnu vivaha pooja or you can visit Kukuteshwara Swamy temple, Pitapuram. Your dhana sthana is good only but some bad conjunctions with the 12th house lord and hence creating financial troubles. Daily worship Lord Ganesh, Slokams, then OM GHAM GANAPATHAYE NAMAH or any other like this for 108 times, then worship Lord Subrahmanya and Hanuman. Recite Maha Lakshmi Gayathri Manthra for 108 times daily or every Tuesdays and Thursdays. Worship Lord Garuda and Lord Venkateshwara on every Saturdays. Recite Guru Manthra for 108 times daily or every Thursdays. Do all the above regularly sincerely and dedicatedly to please the lord and of pleased you may find a solution for your troubles. Sorry we do not predict for govt jobs issues. When I will get married sir?? You may get marry at your 28th age. Daily worship Lord Ganesh and Subrahmanya. Offer a red saree to Goddess Durga on a Friday and make pooja to the mother and make your request. Also issue butter milk near the mother temple on regular basis. 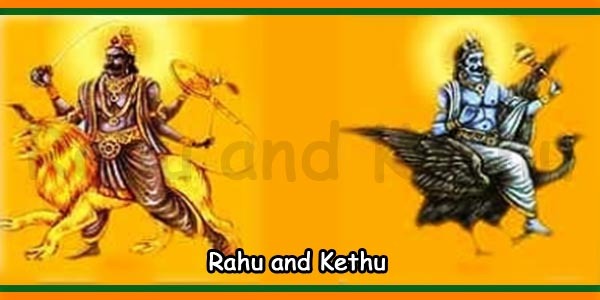 Perform Rahu kethu pooja for once in a Shukla paksha sashti thithi raahu kaal time. Sir my date of birth is 14-06-1984 and time of birth is 5.43 PM. My marriage is getting delayed and non e of the proposals are getting fixed. 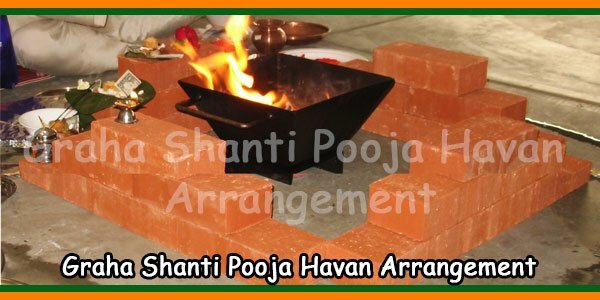 Perform Navagraha Shanti homa pooja. Circumnavigate Navagrahas on ever Saturdays. Daily worship Lord Ganesh, Subrahmanya, Hanuman and recite Aadhithya parayanam during sun rise time as per the procedute. Perform rahu kethu pooja on a Chathurthy thithi raahu kaalam time. Daily worship Lord Ganesh and Hanuman daily. Visit Hanuman temple every Saturdays and circumnavigate Navagrahas and on regular basis perofrm til abhishekam to Lord Saniachara and offer black sesame seeds. Recite Shukra manthra daily or every Fridays.